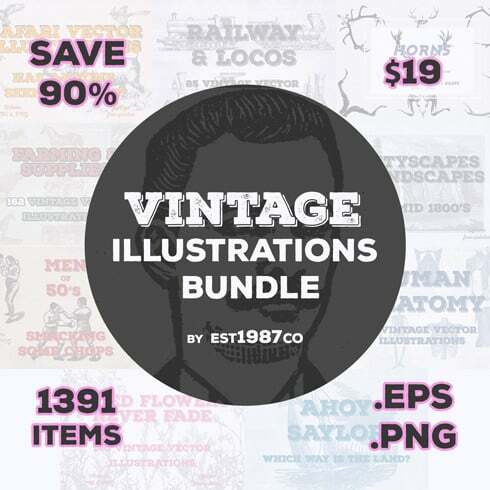 Check out this cool bundle that contains 1391 vintage vector illustrations. This bundle will help you save 90% OFF the regular price of all items included. These vector illustrations can be used for various purposes including printing on t-shirts, fabric, creating custom smartphone cases, interior design, tote bags design, and so on. 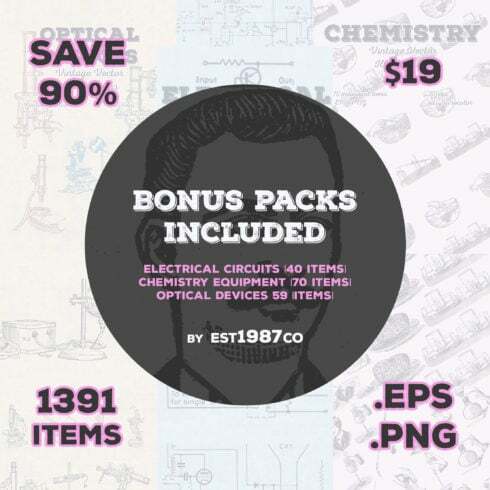 1391 illustrations in .EPS and .PNG file formats. Free lifetime updates, as long as the new illustrations will be added to any of these packs you will get them for free. 90% economy from the regular price of all packs. After the purchase, you will get a text file with box links to the archives with these packs.